From haze removal to matching musical scores, this version simplifies complex moves with baby steps. Premiere Elements, the consumer version of Adobe’s pro video editor Premiere Pro, is on a mission to make videographers of us all. With version 15 of the software, there are relatively few headlining new features, but a series of solid updates will make your videos look and sound primo. Social networking is now a prominent mode of photographic engagement for families, and with this new version, Adobe is making videos even more attractive and sharable for Facebook, YouTube, and Vimeo with a dynamic collage feature, renewed focus on people and faces, special effects across multiple clips, timing soundtracks to videos, and more. Premiere Elements works with the Organizer, a free companion helper app that assembles and manages all your photos and videos in one interface, giving both the photo and the video app access to all assets. We talk at length about updates to the Organizer in our review of Adobe’s Photoshop Elements 15. Like its facility in Photoshop Elements, you can use the Organizer in Premiere Elements to find the videos you’re looking for by searching a combination of places, events, albums, favorites and more. Like Photoshop Elements, Premiere Elements offers a series of new controls, plus a new guided edit offering instructions on how to easily accomplish complex edits and unique projects. Premiere Elements’ new Haze Removal control will be familiar to folks who used the last version of Photoshop Elements. De-hazing, originally derived from the pro-level Photoshop CC, cuts through cloudy, hazy backgrounds to let the sharp, clear color of sky and other parts of the image shine through to boost the overall clarity of the scene. Cut through the haze to let the blue sky shine. In Premiere Elements, haze removal is a two-step process: First you must apply the special effect by dropping it on part or all of your video timeline. Then, you can either leave it up to the software to apply automatically, or you can uncheck the auto box to adjust the Haze Reduction and Sensitivity sliders manually to achieve the effect you want. This sort of correction comes in super handy for almost any video shot during the day, where light and weather conditions frequently wash out Mother Nature’s beautiful hues. There’s nothing new about adding audio to your original videos, but it’s always a challenge to try and match a song to the exact length of your movie. It never sounds quite right to just end something abruptly. The new version’s Remix feature lets you choose any music file you own and match it precisely to the length of your movie with a simple drag and drop. The app reads through the song and trims and cuts with natural sound and transitions to just the right length as long as your video is a minute or more in length. Mixing the soundtrack just right. Adobe already has gone all-in with face detection in previous versions, and now, it has extended the function to popular Premiere Elements features like Smart Trim, Favorite Moments, and Pan and Zoom, giving automatic priority to people in your footage. Considering that most people shoot video of family and friends, this makes it easier than ever to emphasize them without a lot of distracting cuts and transitions. Everyone in the frame gets equal time in a stylish pan and zoom movie. You can also use Premiere Elements to turn a still photo into a pan and zoom movie by letting the software find each face while you tweak the amount of time and space the camera spends on each person. This new version lets you create new face frames and customize their size, order, and duration. Working in the revamped Organizer, you can mix up to seven still photos and videos to generate a dynamic Video Collage, which gives you a single composite video to share with friends or on your social networks. This is a very cool way to group your favorite scenes from an outing, vacation or street fair to tell the story with multiple perspectives. Premiere Elements offers numerous export options to choose from so you don’t have to worry about saving or sharing to any venue you want. Just pick the items you want to use and stuff them into one of the app’s built-in templates. You can also set whether playback from each module is simultaneous or sequential. You can add a music remix if you want, or just use the sound from any one of your videos in the background. What if you had a bunch of different clips that you wanted to tie together with a unified visual look and feel? One easy way would be to use Premiere Elements’ new Adjustment Layer guided edit, which makes this inherently complex task easy. Adjustment layer guided edit places the same effect across several clips. Premiere Elements 15 provides a respectable number of useful new and augmented features that add a pro touch to your videos. Whether or not to upgrade to this version depends on whether you’re a previous user, and how old your app is. Newcomers, especially those who seek an alternative to iMovie, will find it easy to use and learn and well maintained with tons of variety. This new version makes it even more fun and useful. There were no problems with performance in either creating special effects or rendering video. The app is $100 when purchased separately (Adobe online store link), including the companion Organizer app. 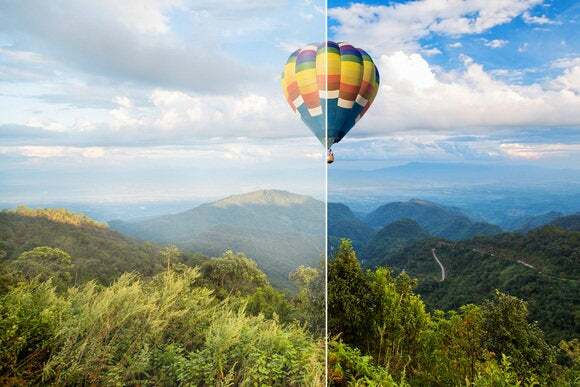 However, Premiere Elements’ partner Photoshop Elements operate well as a pair, and if you buy them as a bundle you’ll save with a price tag of $150 (Adobe online store link). Upgrades cost $80 each or $120 for both Elements apps.